The collector’s edition has only been announced in North America so far, however a EU announcement is expected to follow along shortly. 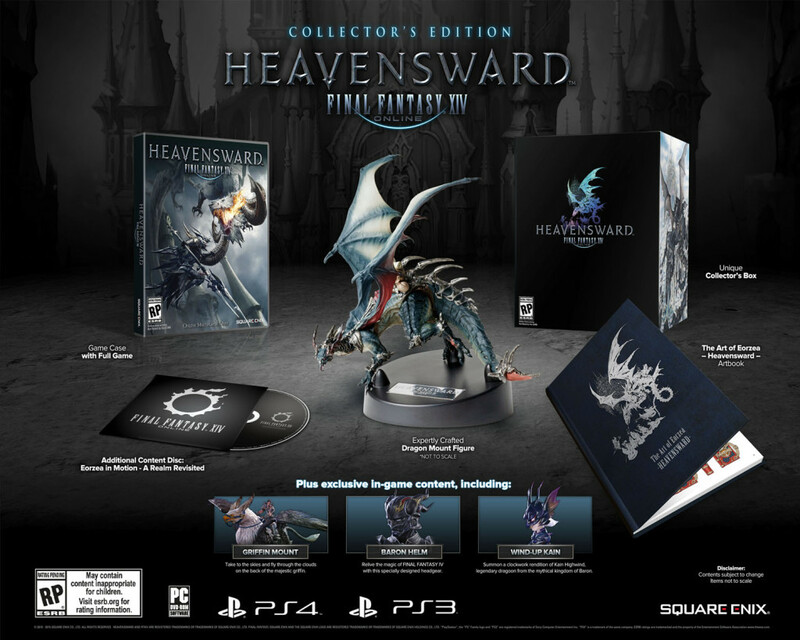 Final Fantasy XIV: Heavensward will be released on the 23rd of June 2015 and will feature a brand new story which plunges adventurers into the Dragonsong War. The expansion pack will also increase the current level cap from 50 to 60, add a new playable race, new dungeons, raids and much, much more. The expansion pack will be available for PlayStation 3, PlayStation 4, Windows PC and Mac OS.